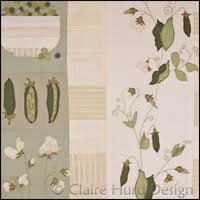 Claire Hurd Design now on Facebook! 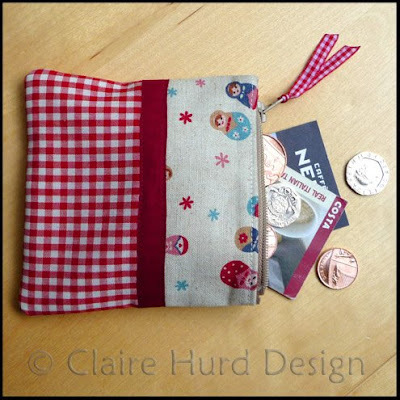 Claire Hurd Design now has a Facebook page where you can keep updated on my latest crafty goings on. To become a fan simply sign in to Facebook and do a search for Claire Hurd Design, then add yourself as a fan. You can also become a follower of my blog to receive notification each time I add a new post. Simply click the 'Follow' button under the header 'Followers' on the side bar. 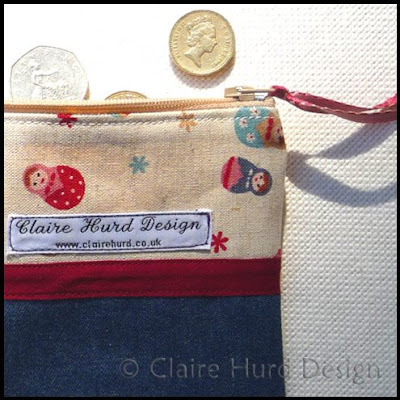 My handmade bags are proving to be popular presents at the moment - it appears to be the season for 30th birthdays! 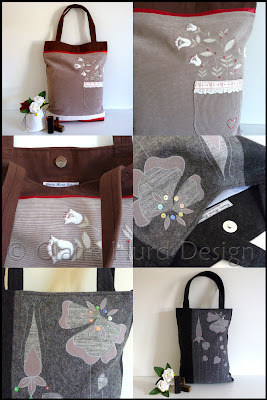 I have had a few commissions for bags which I would like to share with you. I shall have to wait until all of the birthdays have passed so as not to spoil any surprises but here is my first installment. This bag is a generously sized shopper made from a sturdy chocolate brown brushed cotton and a mocha corduroy. The pretty little appliqué flowers are cream velvet with linen and textured cotton leaves. The red hand-embroidery and applied ribbon add a nice splash of colour. The bag fastens with a magnetic clasp. Another birthday bag to follow soon! Having made one of these blankets for a friend of mine and posting about it on my blog I have had a lot of interest from my friends wanting one made to give as a gift to their friends. 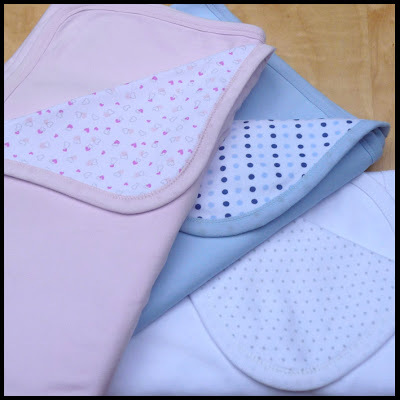 So, I have stocked up on the jersey baby blankets in the colours shown below and am offering personalised blankets to my blog readers for £15 each including P&P. I have a limited supply so it will be first come first served! The blankets measure approx. 75cm x 96cm and are pre-washed and ready for use. If you do not know baby's name yet but would like to reserve a blanket then that is not a problem, just let me know. Also, if you would like a different motif to the elephant shown that is fine, we can discuss other options. 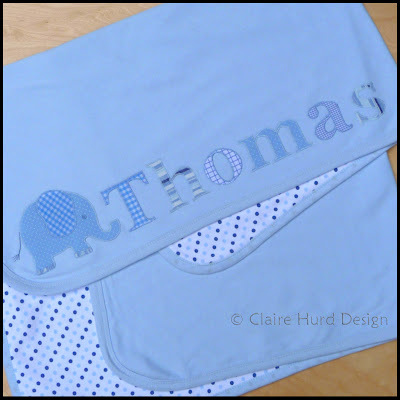 To reserve/order a blanket please email me at studio@clairehurd.co.uk. 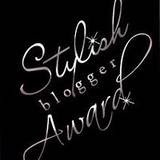 Here is a little sneaky preview for my blog followers. I am currently working on a contemporary Christening card for a private commission and am at the same time trying to develop a design that can be personalised and added to my Not on the Highstreet shop. The image shows work in progress. I am creating digital designs from a scanned image of a handmade appliquéd teddy bear. 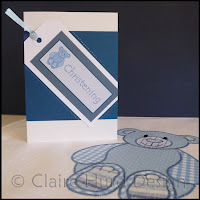 I am then applying the images to the Christening card with layers of co-ordinating paper. I have added ribbon for that hand-finished touch. I shall post about this design again once it is finished and available in my shop. 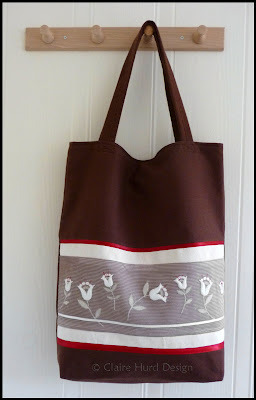 Today I have added two new floral appliqué tote bags to my online shop. The chocolate brown floral pocket bag is really nice and sturdy having been made from thick brushed cotton and corduroy and lined with calico. The size is nice and generous too making it a great unique shopping bag. This is an exclusive design with only one bag available so if you like it then nip over to my shop quick smart! The grey wool floral appliqué bag is a delicate looking bag but still nice and strong being fully lined and having reinforced handles. The flowers are all linen and have eye catching bead and sequin details. Once again this is a one off so if you like this design then don't miss out, pop over to my shop and place your order! 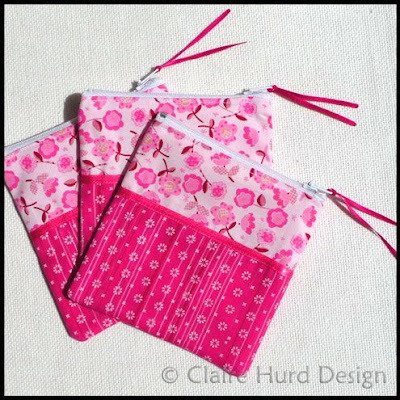 Today I completed two more purse designs for my Folksy shop. My favourite is the denim and Matryoshka Doll print one but this is not surprising as it matches my handmade bag that I use each day! Please click here for further information and prices. 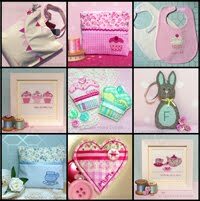 I feel I have been neglecting my Folksy shop a bit since setting up my shop with Not on the Highstreet. I will be keeping my Folksy shop open and now my Not on the Highstreet shop is established shall be spending some time re-stocking it with my smaller products. 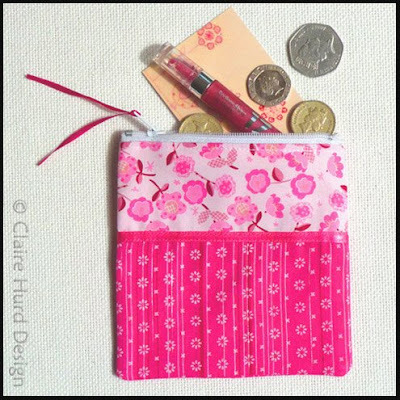 I am starting with a collection of coin purses made with quirky print fabrics I have purchased from Japan. 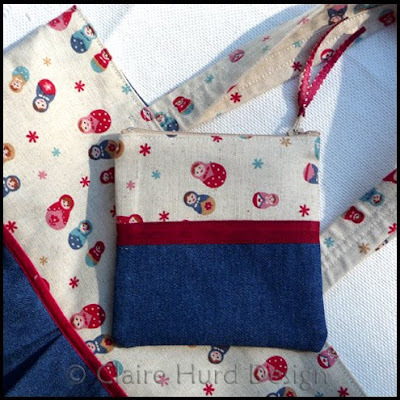 This purse has been made using a cute Matryoshka doll print fabric. 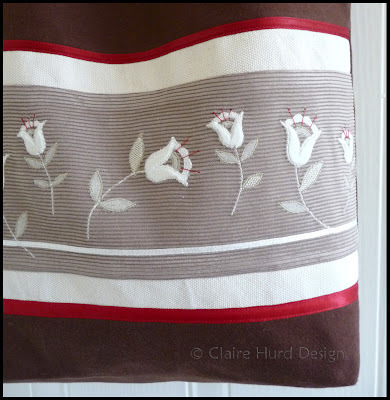 I have teamed this with a cheery red gingham fabric and a burgundy trim. 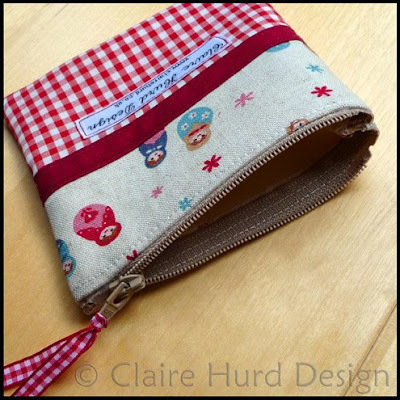 To finish it off I have added a red gingham ribbon pull to the zip for ease of use. For full details and prices please visit my shop. 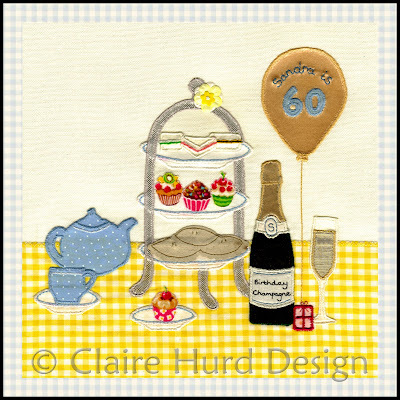 I have just completed an order for a set of 30 invitations for a 60th birthday party. I began making these invitations by creating an appliquéd and embroidered tea party artwork. Finishing touches were achieved with hand-embroidery. 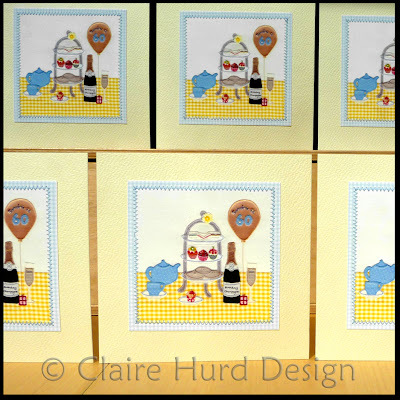 The artwork was then scanned and the blue gingham border was added in Photoshop. I printed the artwork on photo paper and then attached it to the blank cards using zig-zag stitch for that final handmade touch. This is a Cornish tea party hence the pasties on the cake stand!